This is the view of The Cosmopolitan Hotel in Las Vegas viewed from the Fountains at The Bellagio Hotel. My readers know that my wife Abby and I have tons of great memories from our travels, which I share and celebrate on our travel blog, The Traveller. We love to drive out west, but sometimes we head north to the Dakotas or south to New Orleans where my sister and brother-in-law live, or fly to Baltimore to see Abby’s daughter Chele, husband Tom, and our grandson Paul. As happy as Abby and I are in our daily lives, these adventures are definitely peak moments. 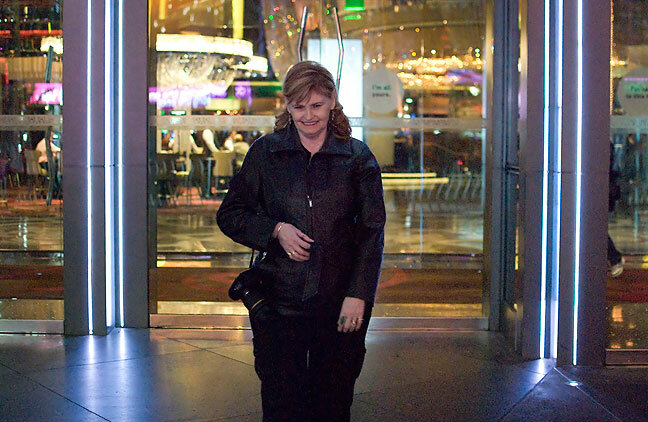 Abby poses for me at the front entrance to The Cosmopolitan in Las Vegas. 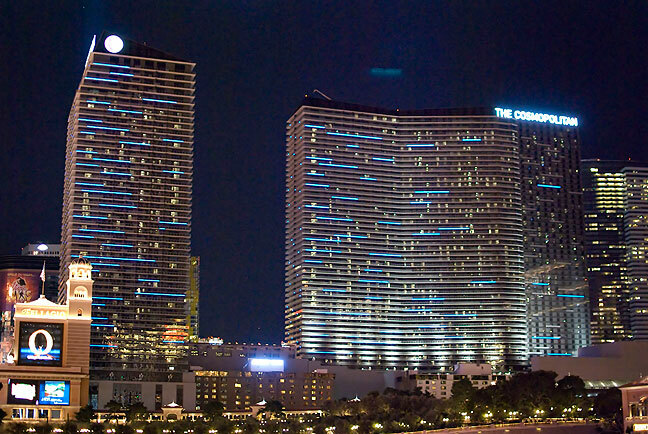 “The Cosmopolitan. Why?” I answered. “Because it’s on fire.” I walked over to his desk to see the television next to it tuned to a news station. Sure enough, the Cosmo was on fire. It was the pool on the 14th floor, a spot Abby and I actually know fairly well, since it was the spot we visited most often at the Cosmo on our 2011 trip. We don’t swim, but as it turns out, the Cosmo is a pet friendly hotel (one of the reasons we like it), and the dog park, with its fake fire hydrants and poopy bag dispensers, is next to the pool. Randy’s been to Las Vegas several times himself, and soon he and I were comparing notes about the new hotels, old hotels, torn down hotels, photo ops day and night, and so on. It was fun, and it was fun to remember the great time Abby and I had at The Cosmopolitan. 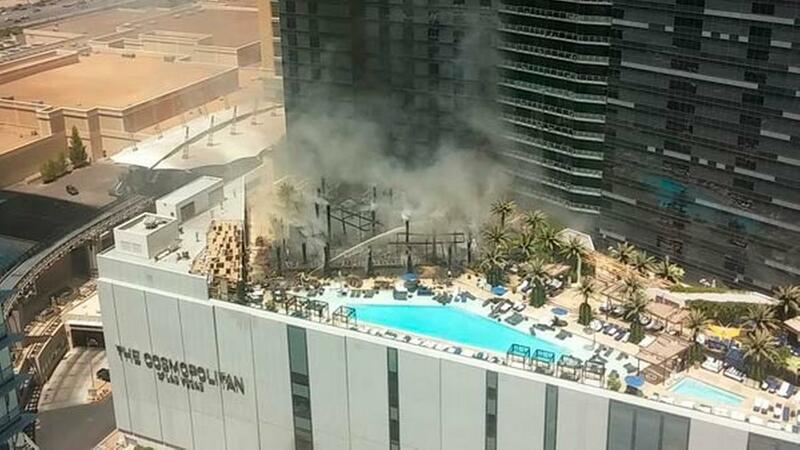 I pinched this image of the Saturday fire at The Cosmopolitan in Las Vegas under fair use. The dog park is just out of the frame to the right. I thought of you when I saw the Cosmo afire. But what’s up with ya’ll not swimming? I so do not understand this. I assure you there is nothing hinky about it. It is something my wife and I share without reservation: we don’t like to swim. It’s always an odd feeling to have just been somewhere and then see it in the news.